Europe, and particular pioneering Denmark, is the original source of international offshore wind energy development, and is at its core. As early as 1991, the Vindeby offshore wind farm of 11 450kW wind turbines was made operational in the shallow waters of the Baltic Sea at a depth of 3 to 4 metres, around 3 km from the coast. Commercial exploitation of offshore wind energy followed in 2001 and 2002 with Danish wind farms Middelgrunden and Horns Rev 1. 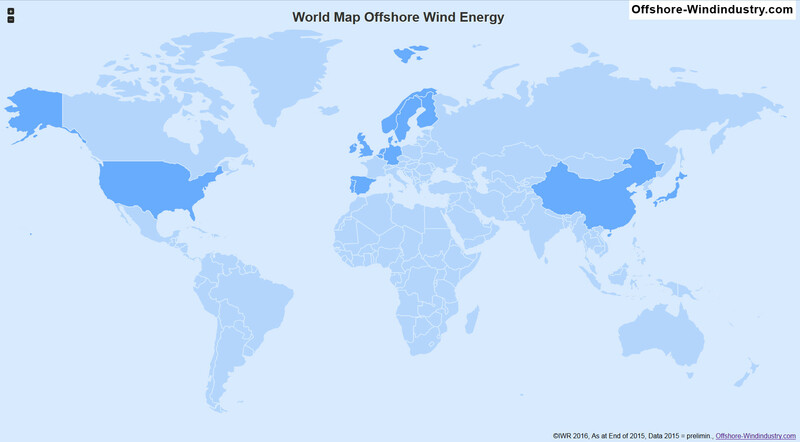 In the years that followed, offshore expansion gained increasing momentum in Denmark and, by the end of 2016, there were over 500 offshore wind turbines in Denmark with a combined output of around 1,300 MW in operation. 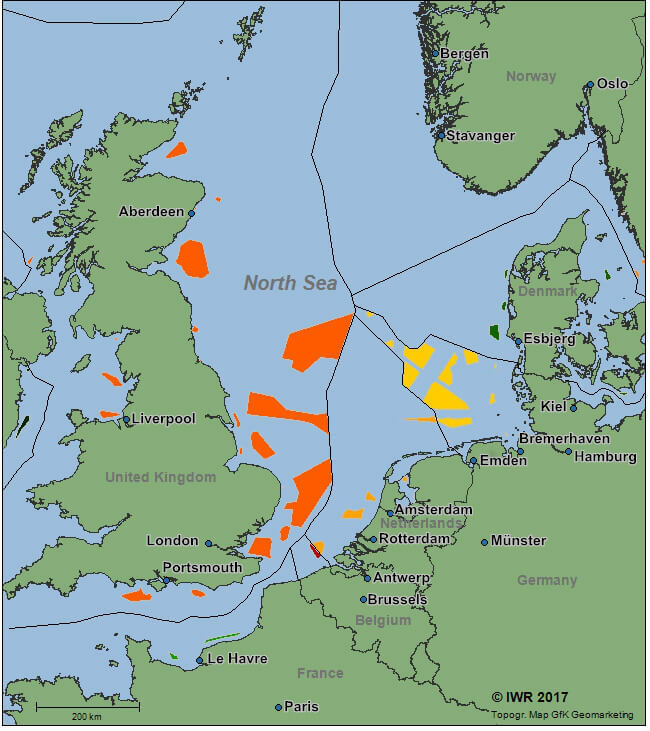 The United Kingdom followed in Denmark’s footsteps, with the first offshore wind farms in the British North Sea as from 2003/2004. Since then, offshore expansion has developed rapidly in Great Britain. Its cumulative offshore output had increased to nearly 5,200 MW by the end of 2016. 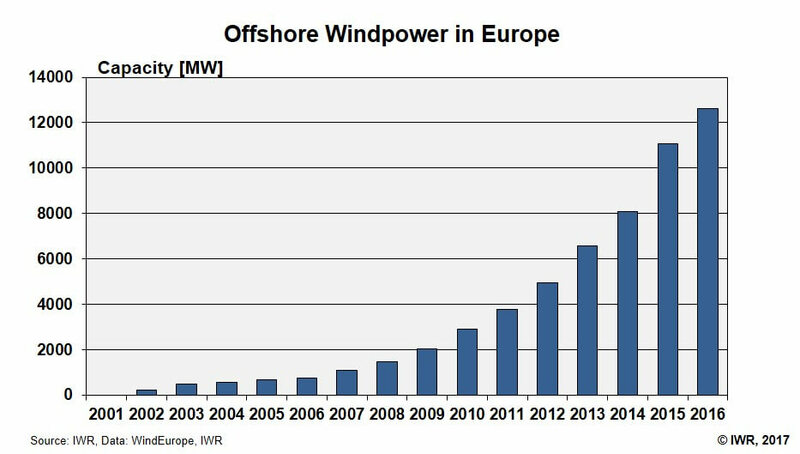 Germany made its first foray into offshore wind energy expansion at a relatively late juncture. Its first offshore farm – the alpha ventus test site – went into operation for the first time in 2010, with 12 wind turbines and combined capacity of 60 MW. However, national offshore expansion has gained momentum recently so that Germany now ranks second behind the UK. There were around 950 turbines with combined output of 4,100 MW in operation as at the end of 2016.